I halved this recipe in half, because let's face it folks, sherried sardine toast didn't sound too appealing at first. I wasn't sure I was going to like this, but once it came together, it looked pretty good and tasted even better. The key is to get perfectly ripe avocado and nice crusty bread and the rest is just icing on the cake. 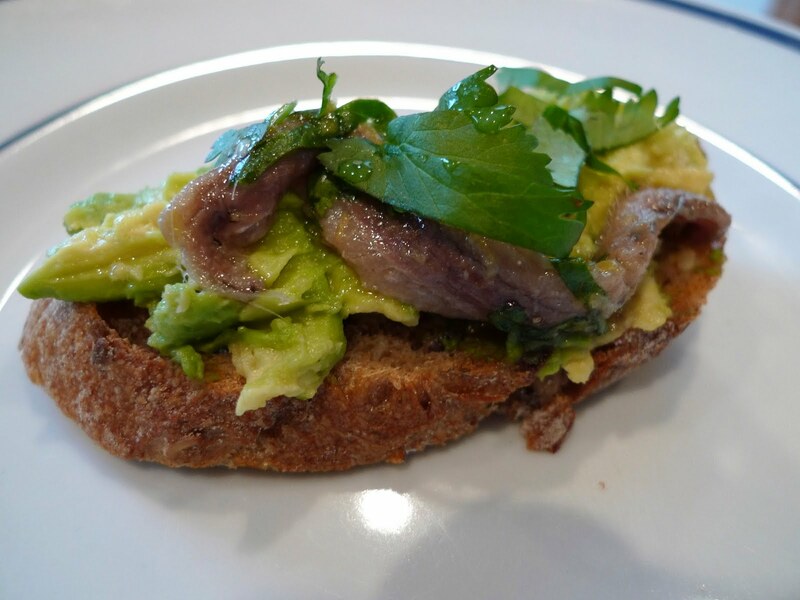 The creamy avocado cuts through the saltiness and it's a perfect compliment to anchovies. I might have to stock some sardines in my cupboard regularly now. Thank you Alton. Season lightly with sea salt and serve with lemon wedges. I didn't add the sea salt and I thought the sardines were plenty salty enough. I would taste before adding any additional salt. You can't knock it till you try it Mary. Koreans use dried anchovies in everything though and caesar salad has anchovies in it. haha.